The world was shaken by the news that Apple's co-founder & chairman, Steve Jobs passed away from a long struggling battle of pancreatic cancer. 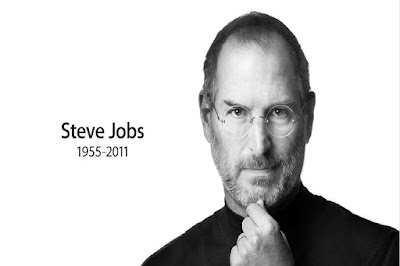 He died on the same day after the iPhone 4S was announced by current CEO, Tim Cook. 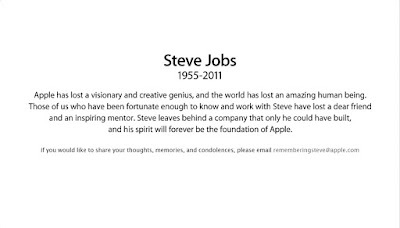 Steve leaves behind a legacy - a man dubbed as a visionary, pioneer & genius who changed computing, entertainment & telecommunication industries with products that emphasize on sleek design & ease of use with cutting-edge technology. Well-wishers & condolences flooded social network sites such as Facebook & Twitter, all expressing grief over the loss of a true visionary. 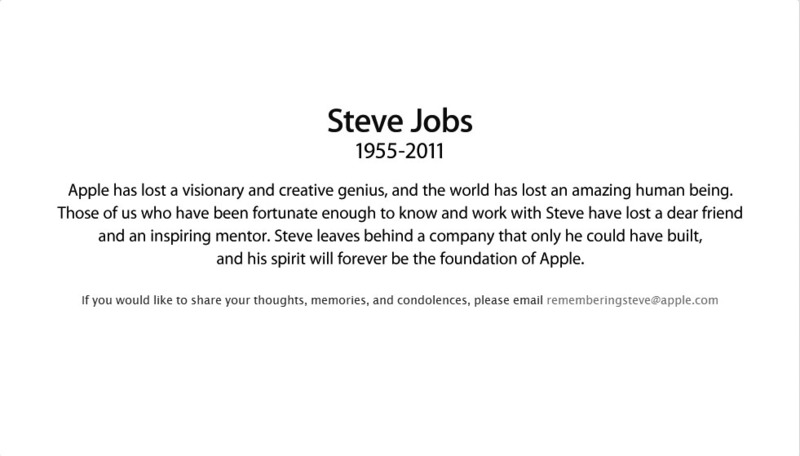 Indeed a global phenomena, what better way to tribute Steve than having the world discovering news of his death & sending wishes via his popular invention - the iPhone. I owned the iPhone 4 & each time I whipped out my phone to start tapping on the screen, it reminded me how grateful I am to be able to enjoy Steve's genius work. I am saddened that he left the world too soon but God always have His way to make things work the way it is. We will deeply miss you...RIP.